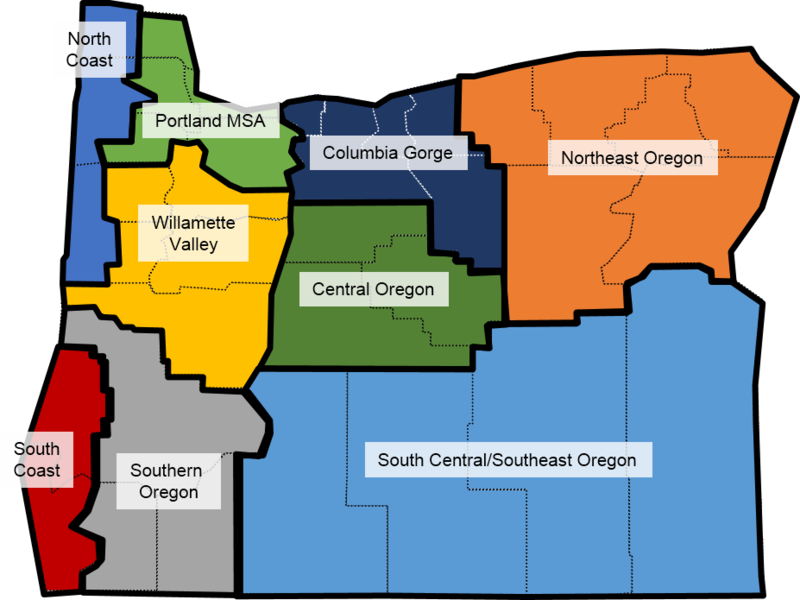 Find the latest analysis from our office on each regional economy within Oregon. One page regional summaries are published in our quarterly forecast document on a rotating basis. Additionally, the Oregon Employment Department has great regional coverage in terms of their analysis and workers throughout the state (both regional economists and workforce analysts). On their website click on the map in the lower left hand corner for more on each region.